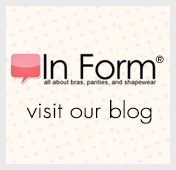 Shapewear is helpful when you’re gaining or losing weight, or simply in between sizes. The styles identified below are designed with extra adjustability that will accommodate your unique shape and continue to fit throughout your weight transition. When selecting sizes, if you’re on a diet, choose the smaller size; if you’re gaining weight, choose the larger size. By choosing any of these styles, you’ll save money by buying one garment, instead of two.